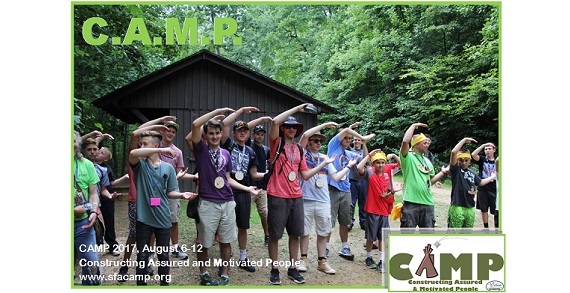 Constructing-Assured-and-Motivated-People (CAMP) is a private ACA Accredited, faith-based interdenominational program serving 6th graders through Spring held grads at Tar Hollow State Park in SE Ohio. 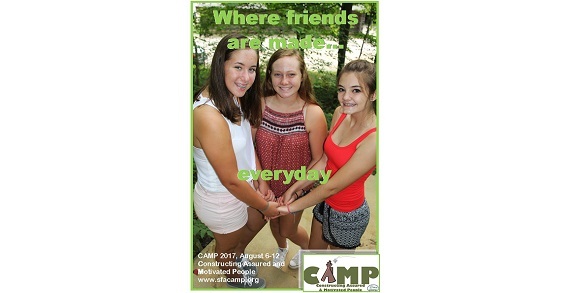 CAMP all-volunteer staff from across the US, teach over 20 classes, prepare family-style meals, and lead traditional camping activities in a great motivational environment. CAMP 2017 is August 6-12. This is a great way to end your summer and start your school year off motivated and ready to go!